Christine Senediak, is Principal Director of Clinical Supervision Services and has over 35 years of experience working as a clinical psychologist, educator and supervisor. She has a strong interest in evidence based practice and systems theory and integrates this in her work as therapist, educator and supervisor. 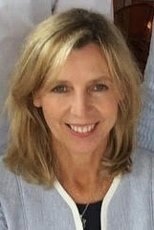 In 2014 she was appointed one of the National trainers to provide PsyBA Supervisor training and in 2015 the practice has grown to now provide eight Master Classes in supervision, and has a team of experienced Clinical Psychologists, a Neuropsychologist and an Organisational Psychologist who also offer training in this field. 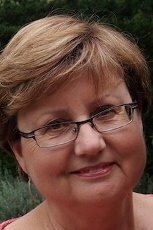 In addition to her work with AHPRA, Christine also offers supervision, short courses and workshops and consults to agencies on matters relating to mental health and wellbeing across the lifespan. Lydia is a Clinical Psychologist with over 35 years experience working in public and private mental health services, developmental disability, hospital, educational and community settings. She also has a background in policy development, service management, clinical skills training and supervision. 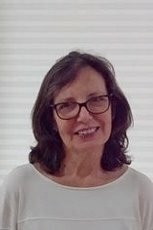 Lydia employs evidence based interventions combining principles of Cognitive Behaviour Therapy, Systems Theory, Acceptance and Commitment Therapy, Interpersonal Therapy and Narrative Therapy in her work. She is often called to consult and supervise complex and challenging clinical issues in both government and non- government organizations. Lydia provides the supervision training for School Counsellors at Clinical Supervision Services with the Master Class ‘Clinical Supervision of School Counsellors’. 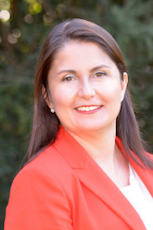 Nicola Gates is a Clinical Neuropsychologist and has 20 years clinical experience as a registered Psychologist and Clinical Neuropsychologist, with a PhD in neuropsychiatry. She is an experienced clinician, educator and supervisor and is widely recognized as having expertise in the field combining neuroscience research, evidence based therapies, mindfulness, and positive psychology. She has worked in hospital, community and corporate settings and offers consultancy in her specialised field to government services and private corporations. She brings to Clinical Supervision Services her expertise in neuropsychology practice, education and supervision. Dr. Roy Laube currently divides his time between private and public health and academic responsibilities. He has a strong background in clinical psychology and specialises in adult mental health, research and ethics and cross cultural practice. 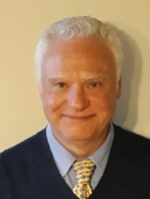 As Postgraduate Clinical Psychology Placement Coordinator at UWS, Roy understands the specific requirements of psychology students undertaking the learning pathways for psychology and his 35 years of experience as a clinical psychologist, educator and supervisor, is demonstrated in his teaching. 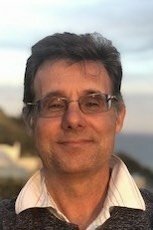 Sam Vasta has worked in public community mental health services for over thirty years as a senior clinician and Service Manager. He has a wealth of clinical experience and supervision practice in a range of service settings ranging from young people experiencing first episode psychosis to consumers facing the challenges of recovery in the context of persistent and enduring mental illness. As a Service Manager, Sam has supervised various practitioners and team leaders often involving complex clinical scenarios. He has experience and has taught on topics including cross cultural mental health practice, managing trauma from major critical incidents and ethical dilemmas in risk management. 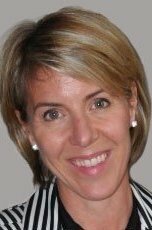 Fernanda Afosno has 20 years’ experience in organisational and talent development. Her experience spans blue chip organisations, partnerships and not for profit organisations across a range of industries including management consulting, media, banking and finance, professional services and global industrial businesses. She has worked with executives and organisations around issues such as building a high performance culture, leading transformational change, influencing within a matrix, building and developing talent, employee engagement, team development, transition to leadership roles, resilience and wellbeing, developing executive presence and increasing self-awareness to build longer term leadership capability. Stewart is a psychologist and PsyBA Supervisor, with 25 years-experience working in psychology, health education and counselling. He has worked in community health, hospitals, education, not-for-profit organisations and in private practice. Stewart combines Feedback Informed Treatment, Cognitive Behavioural Therapy, Positive Psychology, Mindfulness and Insightful approaches in his clinical work. 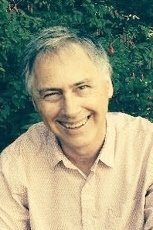 Stewart brings to Clinical Supervision Services his knowledge and an integrative approach, linking clinical experience, education and reflective practice to supervisory assessment. Adminstrative Assistant responsible for student registrations, invoicing and general administration enquiries. Jenny Shaw holds a degree in Social Work and for the past 8 years has worked at the NSWIOP, (now HETI Mental Health portfolio) providing mental health education and training. She has coordinated a number of projects across the child and adolescent specialisation, including developing training materials and online modules for staff. 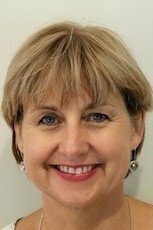 She is involved in developing and/or editing content for E-Learning training on CSS and Sydney Family Training Institute (SFTTI website.She has had over 18 years’ clinical experience working with adolescents and their families and has been involved in teaching and supervision roles in health.